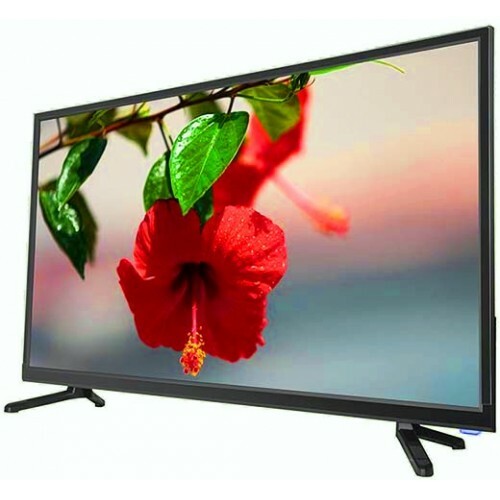 Sky View 44-inch full HD LED USB television having advanced contrast ratio and optimum refresh rate provides videos with exceptional detail. Its 1080p resolution can ensure realistic & actual images for entertainment. Good response time can provide optimum functionality for viewing smooth action on fast-moving content. Its spectacular slim design of front to back gives perfect posture for wall or stand. Built-in stereo speakers provide high quality digital surround sound to create perfect environment. This TV contains the connectivity of 2 HDMI & 2 super multi-format USB for flexibility. Moreover, it has electronic programmed guide (EPG) and fully functioned remote control for your convenience. Purchase this Sky View full HD TV at best price in Dhaka, Sylhet, Rangpur, Rajshahi & Chattagram for your suitability. The huge size with smart features can fit into your budget and available for online shopping. Place your order at our official website and have the delivery at any destination inside Bangladesh.